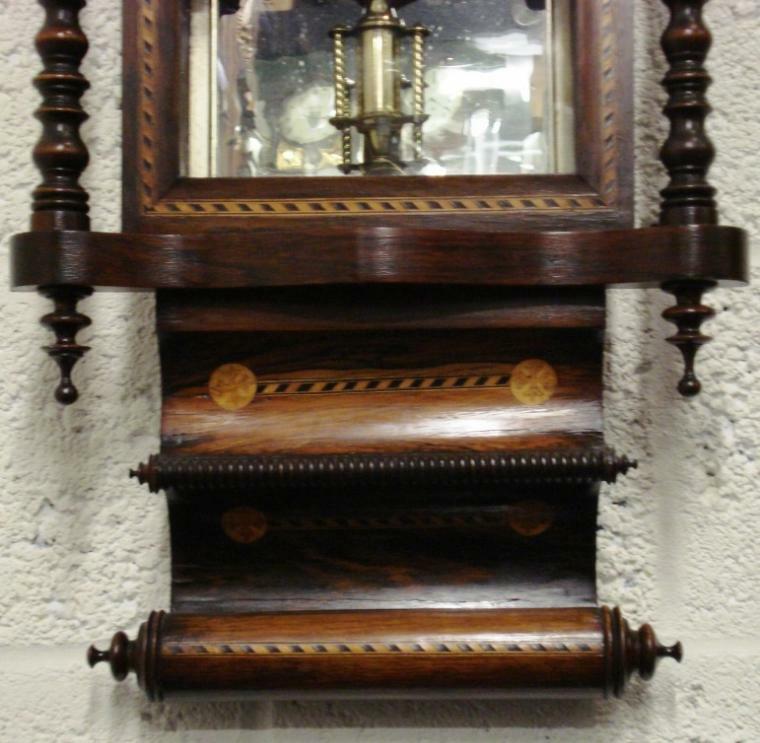 Stock Number: CLWA018 - American 8 Day Bell Strike Wall Clock - £725. 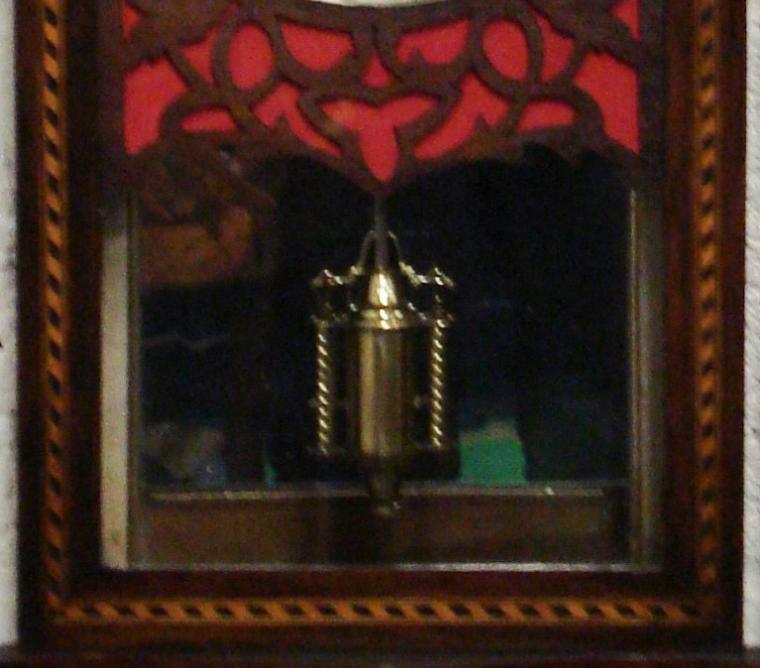 American 8 day bell striking spring driven pendulum movement, housed in a very decorative mahogany veneer case, with ebony and boxwood stringing. Fretwork dial surround with red damask lining over a mirror glass interior and ornate brass and steel pendulum. White painted dial with black roman hour markers and black painted steel hands. Dimensions: Height - 36.5", Width - 15.5", Depth 5.5".